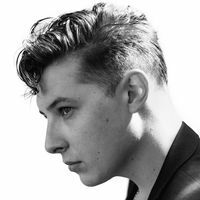 British singer-songwriter, John Newman, will be the star performer of the Women’s EHF FINAL4 on 13 May. The musician will perform at the Budapest event ahead of the final game of the Women’s EHF Champions League and will also be on stage after the trophy ceremony. John Newman’s greatest hits are the UK No. 1 songs, 'Love Me Again' and 'Blame' – each with over 500 million views on Youtube. The 27-year-old musician is four-time nominee for the Brit Awards and won the UK Music Video Awards as the songwriter of ’Not Giving In’ by Rudimental.